Global Editors Network (GEN) is an association of newsroom editors from different countries. It is based in Paris and promotes innovation in journalism. This year they have organised a score of Editors Lab Hackdays around the world to develop a journalism project in 48 hours. I had the privilege to participate in the hackday in Barcelona on 13th and 14th March representing the Open Knowledge Foundation (OKFN) together with David da Silva (@dasilvacontin) and Joan Jové (@joanjsTW). The GEN hackday slogan, Hack the newsroom, promotes a change in newsroom routine by way of journalists, programmers and designers working together. That is why most teams competing on hackdays are made of people employed by media. That was not our case. We brought in the spirit of real hackathons: we worked as a team once we got there. From August 2013, hosted by media worldwide, GEN representatives have run hackdays in Buenos Aires (Clarín), Cape Town (Media 24), London (The Guardian), Rome (L’Espresso), Paris (Le Parisien), Sunnyvale, EEUU (Yahoo! ), Moscow (Ria Novosti), Brussels (VRT) and Madrid (El País). From Barcelona the GEN was on its way to Cairo (Al-Masry Al-Youm) and then New York (New York Times/Reuters). A different topic is set up for each hackday: in Madrid, it was liveblogging; in Cairo, apps with maps to make city traffic better by crowdsourcing. The Col.legi de Periodistes de Catalunya hosted the hackday in Barcelona. 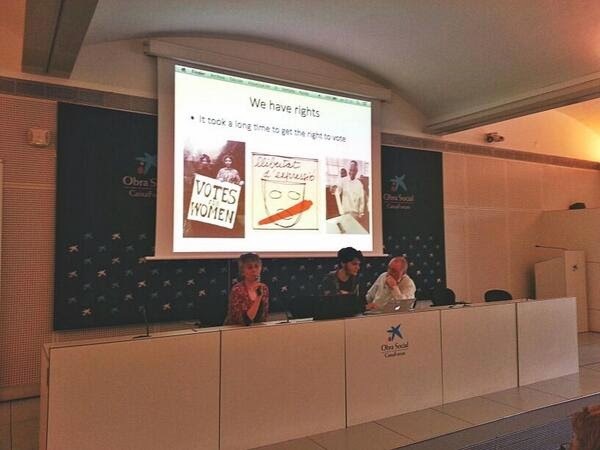 It took place in Caixaforum, on the topic “Election Coverage. How to create new interactive tools to encourage civic engagement and productive political discussion? How to better use data to make your coverage more relevant to voters?” We also had two masterclasses. Luis Collado and Elías Moreno, from Google, showed a few data analysis tools. Mirko Lorenz, from Journalism++, presented inspiring projects. Our team, looking ahead at the coming European Parliament elections on 25th May 2014, presented the project Parlamentemos (Let’s parliament): a webpage and a mobile app with information about the current members of the European Parliament from Catalan political parties and also about the candidates whose names we know so far (Let’s not forget that the Popular Party, in government, has not named any of its candidates yet). The hackday winner was LaVanguardia and this was their project. The newspaper Ara.cat got a mention for “El inaugurómetro” (the inaugurationmeter, relating building projects and results in local elections). The Corporació Catalana de Mitjans Audiovisuals (that groups together TV3, Catalunya Ràdio and other public media) put up a project about audience using their mobile to have a say in broadcast election debates real time, and got another mention. Other participants were eldiario.es, El Periódico, Datan’Press and Wikidiari. 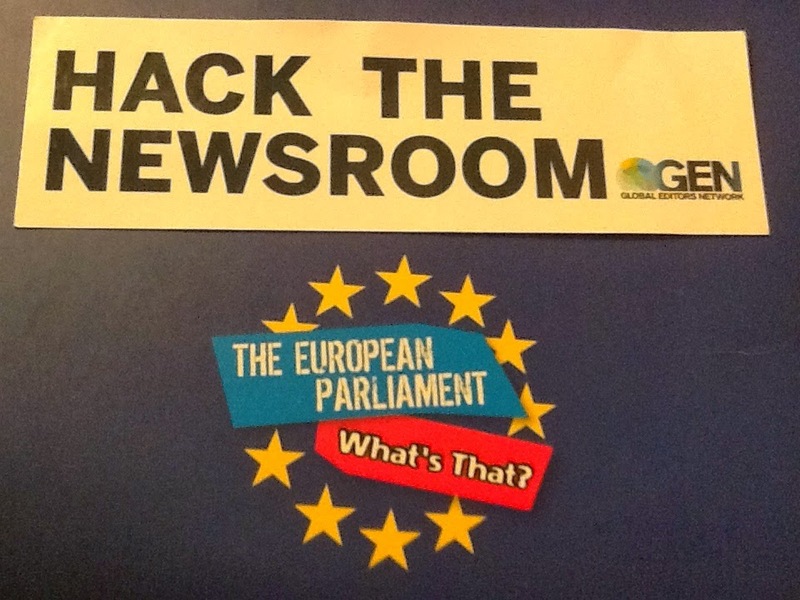 La Vanguardia will compete in the final of the “newsroom world cup” at the GEN Editors Lab summit in Barcelona on 13th and 14th June 2014 against The Times, La Repubblica, La Nación, Radio France and other. We hope to be able to inform you about it, too. Here is the GEN summit programme. Next Next post: What is the Generalitat’s seismometer?